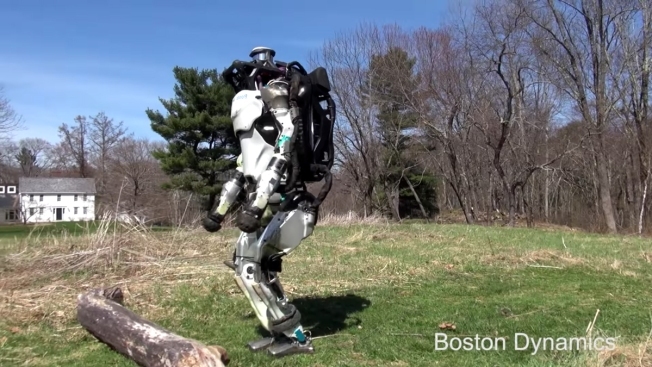 A May 10, 2018, YouTube video shows a Boston Dynamics robot running and jumping through a leafy neighborhood. Boston Dynamics' Atlas robot has wowed us with a backflip and amused us with its iffy box-stacking abilities. In a video posted Thursday on the company's YouTube channel, the humanoid robot demonstrates its running ability, NBC News reported.